Michelle Saram was chosen to star alongside Aaron Kwok in a series of advertisements for CSL Hong Kong’s One2Free network. The ad was shot on film and featured a storyline that had Aaron’s character torn between two female characters, giving consumers the power to decide with their votes which girl Aaron ended up with in his “happy ever after.” Michelle’s character won by an overwhelming margin, sealing her popularity with the Hong Kong public, and with that affirmation came numerous offers for movie and television work. Aaron and Michelle’s scenes from the ad were also used for Kwok’s MTV for the theme song 愛的呼喚[Love's Call] and this song is still irrevocably associated with Michelle to this day. Michelle then worked with Francis Ng and Louis Koo on Wilson Yip’s Bullets over Summer 爆裂刑警 for which Yip, together with Matt Chow and Ben Cheung, won the Best Screenplay award at the 6th Hong Kong Film Critics Society Awards. Michelle followed that with roles in the TVB dramas - At the Threshold of an Era 創世紀 2 and A Step into the Past 尋秦記; a modern drama followed by a period drama, becoming even more of a household name in Hong Kong and within the overseas Chinese population. Michelle was thrilled to work again with Wilson Yip on the ensemble movie Skyline Cruisers 2 神偷次世代 starring with Shu Qi, Leon Lai, Jordan Chan, Sam Lee. She thoroughly enjoyed playing the cool hacker with shocking orange hair and the exciting stunts she performed in this action movie. This was followed by the Vincent Chui directed arthouse movie Fear of Intimacy 追踪眼前人 with Tony Leung Ka Fai, which was chosen as the closing film of the Taipei Film Festival, and screened at the Moscow International Film Festival’s Perspectives Competition section. In 2000, Michelle released a Mandarin solo album Upfront with Sony-owned Epic Records. She then starred in Meteor Garden 流星花園 2 with Jerry Yan, Vanness Wu, Ken Chu, Vic Chou and Barbie Hsu, and gained popularity all over Southeast Asia in this widely successful series, ushering in a new era of Taiwanese “idol” dramas. Michelle returned to Singapore to flex both vocal and acting muscles as a visually-impaired aspiring singer in Mediacorp’s Fantasy 星梦情真 with veteran Xiang Yun, Chen Hanwei and Tay Ping Hui. She followed that with starring roles in Baby Boom 我家四个宝 with Zoe Tay and Li Nanxing; To Mum with Love 非一般妈妈 with Mimi Chu, Christopher Lee and Qi Yuwu; and Love at 0° C 爱情零度C with Rui En, Julian Hee and Elvin Ng. She then starred alongside Li Bingbing and Ken Zhu in the Taiwan-produced drama City of Sky 天空之城 which was filmed in the beautiful Yunnan countryside. That was followed by a dreadlocked, flying carpet riding, Middle Eastern princess role in the period drama Fairy 天外飞仙 with Ariel Lin and Hu Ge. Michelle finds it somewhat ironic that while English is her native tongue, apart from the handful of guest appearances on travel and food shows, one of her only English roles to date has been a hilarious cameo in the Esan directed Singapore movie City Sharks with Nicholas Lee and Sheikh Haikel. She looks forward to working on more English language projects focused on the environment, health and wellness, and honouring and strengthening the communities we live in. 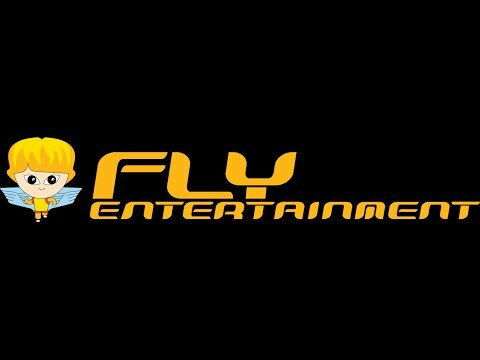 Michelle is proudly represented by FLY Entertainment.